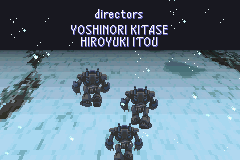 I don't normally replay games that often, but I can safely say that I've replayed Final Fantasy VI 3+ times! 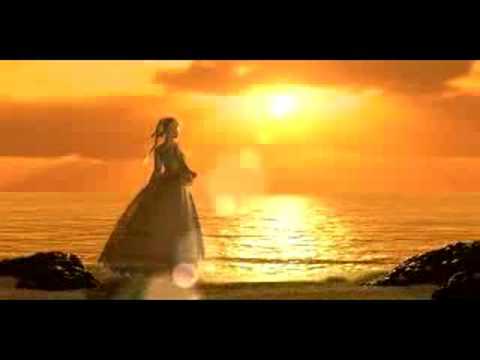 The story is brilliant, the characters amazing, the soundtrack superb and the gameplay flawless! 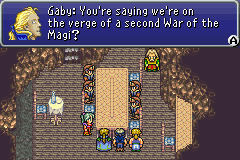 The gameplay is quite similar to that of Final Fantasy IV (II in SNES version) except some things have been enhanced, as well as the graphics (well, not of the DS remake, but I'm talking of the GBA and the SNES versions of FFIV). 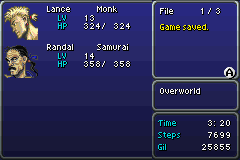 It's a typical RPG, with so much more. 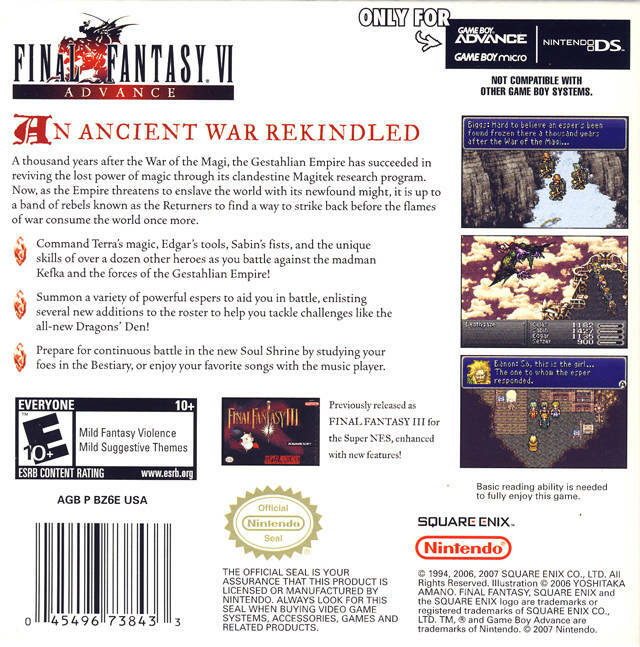 Final Fantasy VI for the GBA is a port of Squaresoft's (now Square Enix) hit RPG for the SNES. Assuming you can look up the story and gameplay of the original yourself and/or already know about it, I'll just talk about the port quality and differences. 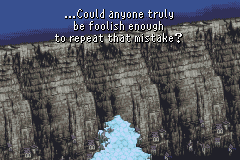 The translation is almost completely re-done, though they left in several memorable lines as they were. 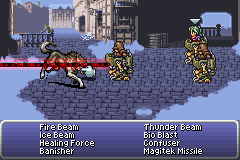 The colors are brighter and easier to see and the graphics look very nice on the GBA's screen. All of the old bonuses and extras from the previous versions of the games are here in addition to some new ones as well like the Dragons' Den and Soul Shrine. 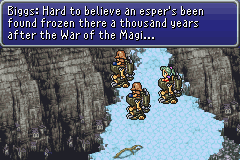 Bugs from the original are fixed and new spells/espers were added. The music is also slightly better-sounding having been "remixed" (or it could just be the GBA's sound limitations, but whatever). Overall, the game is just as fun to play as always, if not better due to all of the extras and enhancements! I'll be playing this one for a long, long time! 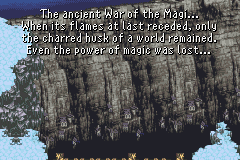 Amazing Final Fantasy game. New content brings easily up to 50 hours of gameplay. 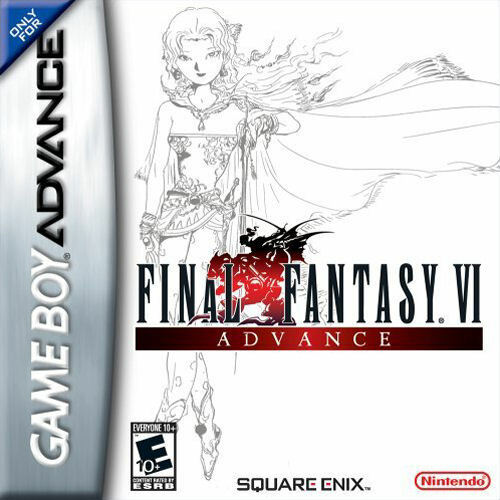 The translation is superb, it has excellent sidequests, an emotionally-superior story, dynamic characters, gorgeous music, and portability as an added GBA bonus make this one of the greatest RPGs in the history of gaming. Now you can add videos, screenshots, or other images (cover scans, disc scans, etc.) 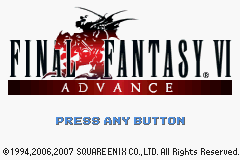 for Final Fantasy VI Advance (U)(Xenophobia) to Emuparadise. Do it now! |                    \   \ \ \_\ \_\ \ \_\                |dv!